Marbella is one of the best-known resorts on the Costa del Sol. Its beaches, night clubs and luxury venues are famous the world over. But this popular holiday spot also has some unexpected sides to it. Read on to discover 10 surprising facts about Marbella. 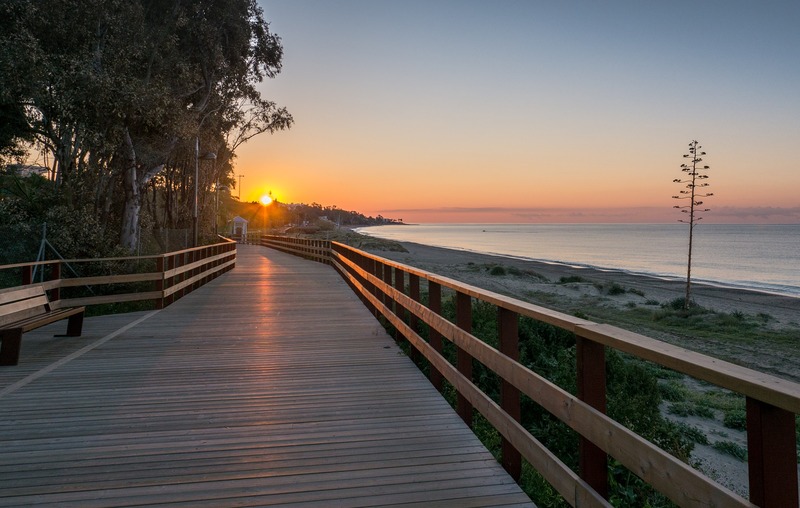 You’ve heard of Marbella beaches, but did you know the resort’s 27km of coastline is home to 25 in total? And that 8 beaches in Marbella have blue-flag status? Here’s our pick of the best. Marbella has twinned with several towns and cities in the world. So far, the biggest resort on the Costa del Sol is twins with Miami Beach in Florida, Punta del Este in Uruguay, Doha in Qatar and Jeddah in Saudi Arabia. Next on our list of surprising facts about Marbella is found in the resort’s residents. Once home to the Romans and Moors, Marbella now has inhabitants from 137 different nationalities. How’s that for a melting pot of cultures? It’s no secret that Marbella is home to some of the most expensive properties in Spain. But did you know the first villa in Marbella dates back nearly 2,000 years? The Roman Villa near Puerto Banús was built by a rich merchant in 200AD. You can visit the villa and admire the amazing mosaics. One of the best known facts about Marbella is its excellent gastronomy. But perhaps you didn’t know that the resort boasts five Michelin stars, one of the biggest concentration in Spain. You can read more about the best restaurants in Marbella here. With over 70 courses, the Costa del Sol isn’t called the Costa del Golf for nothing. And when it comes to big numbers of golf courses, Marbella stands out as the municipality with the most in the whole of Spain. With a total of 16, you really are spoilt for choice if you’re planning a golf break in Marbella. And even better, you can get some great green fee deals. Did you know that the castle walls in Marbella once enclosed an area of 90,000 square metres? There isn’t much to see nowadays but it’s worth checking out the remaining stretches of the Moorish walls outside the main church and in the old quarter. Marbella ranks as one of the Europe’s greenest cities with dozens of plant and tree species round the resort. You can discover this surprising variety of greenery on the Urban Pathway, a 5km way that takes you round Marbella city. The 35 information panels indicate the most interesting things to look out for on the way. Did you know Marbella is home to 12 bronze sculptures by Spain’s most famous surrealist artist, Salvador Dalí? You can admire the weird and wonderful shapes as you walk down the Avenida del Mar in the centre of Marbella. The giant statues include mythological creatures, shells and dolphins, all created with the unique Dalí touch. And last on our list of surprising facts about Marbella is found in the resort’s main church. The Encarnación church, in the heart of the old quarter, boasts one of Spain’s largest organs. Installed in 1972 and designed by the German musician Michael Reckling, the organ makes the most of the great acoustics in the church and is a treat to hear. Ask at Marbella tourist office for details of the next concerts. Discover these surprising facts about Marbella for yourself on a stay at Río Real Golf & Hotel.